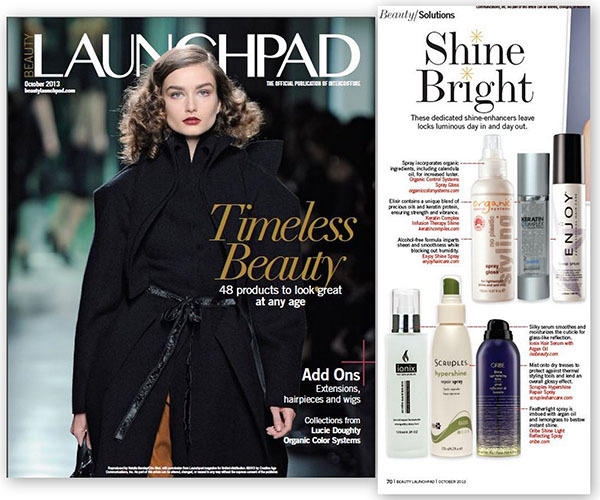 Congratulations to our Client ISO Beauty for their feature in Beauty Launchpad! Your hair is part of your self-expression that communicates something unique about who you are and your mood. ISO Beauty provides innovative hair styling tools and tips to give women of all ages the confidence to express themselves. For luxurious tresses, their BD Hair Serum with Argan Oil willÂ protect and maintain hair by smoothing the cuticle and polishing the hair to a gloss like shine. It relieves the frizzles and eliminates static electricity. The light finishing product will not add build up or weigh the hair down. Sunscreen and Vitamin E is also included to protect the hair from UV damage and environmental stress. With winter months approaching, their BD Hair Serum is sure to help protect hair against the harsh temperatures and damaging winds. Check them out at ISO Beauty.com!